Chance & Travis discuss the detention of a 21 year old American tourist in North Korea & the return of expensive Korean gift sets for the Lunar New Year holiday. The duo also discuss the results of two polls from the Oink – Only in Korea Facebook group where members answered if they would ever travel to North Korea and what they think of Korean gift sets. It’s that time of the year again, “the season with clear skies and stout horses.” Nothing depicts what Korean fall looks alike more accurate than this old saying. During the fall season, the weather is the best and the harvested crops are so plentiful that even livestock get to enrich themselves. Therefore, what’s not to like about this peaceful season? A Buddhist monk brings the evening's ceremony to a close at Haeinsa temple, Gyeongsangbukdo. I'll be moving soon, and this fills me with some conflicting emotions. On the one hand, my current place is a sort of glorified dorm room, with no kitchen to speak of and barely enough space to do, well, anything. On the other hand, my landlords are some of the sweetest people I've ever met. It's not unlike renting an apartment from your friend's grandparents. Growing up, Thanksgiving was always my favorite holiday. There is no pressure about gifts, the family is way less stressed, and it is all about gratitude, family, and good food. My kind of holiday. The day really embodies Fall, with it’s smells and sweaters, colors, and football (or nap time for me). 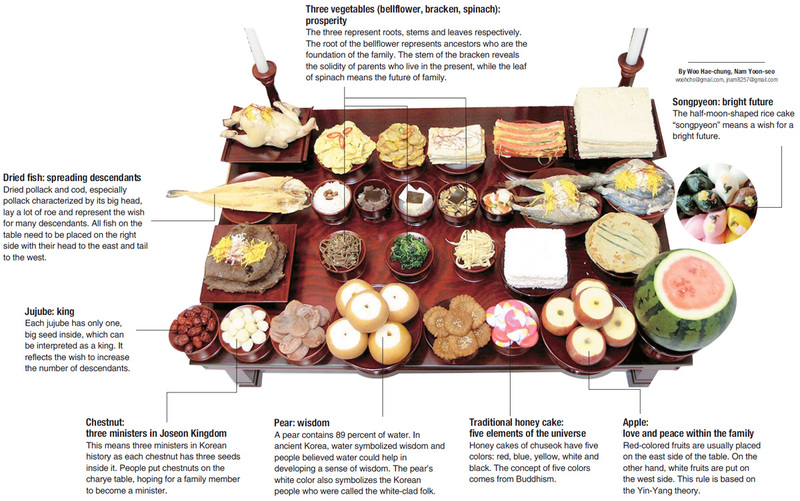 In Korea, Chuseok is compared to Thanksgiving because it is also a harvest festival (minus the genocide and kum ba yah stories of sharing some turkey), but it is as big as Christmas is in the States. Being that it’s one of the two biggest holidays in Korea, we usually get 4 or 5 days off! Hooray! We also got some pretty great Chuseok gifts this year, and if you’re interested in seeing what kind of quirky things we got check out the video! I like going out alone at night. It’s quiet. And, there’s a much better chance of this happening than going out in the early morning. Because as much as I like that, too, I’m just not a morning person. I’ve somehow always found time for the night. Even Korea, a dense slab of concrete and people, has its quiet moments. I imagine out in the country, a nighttime stroll on a pitch-black, streetlight-less road could be downright scary. In a good way. In that “we always think we know, even if deep down we don’t know, and that scares us, so we pretend we do know when really, we don’t. But right now, I really don’t know” sort of way. My husband always tells me not to get involved in other people’s business, especially among Koreans. So I’m back in Daegu after a lengthy Chuseok (Thanksgiving) break. 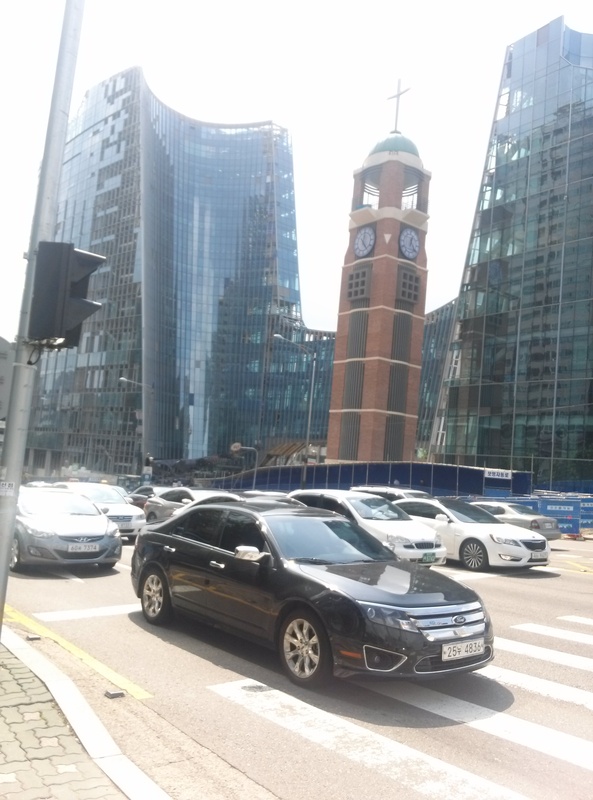 I had a few days off of school so I decided to pay a visit to Seoul, the destination that almost everyone knows about in Korea.